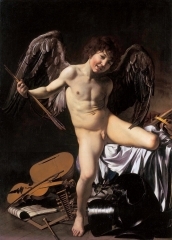 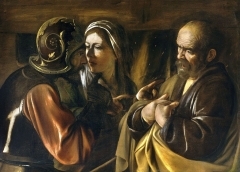 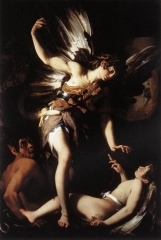 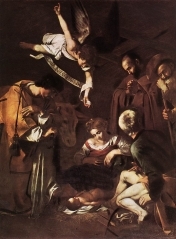 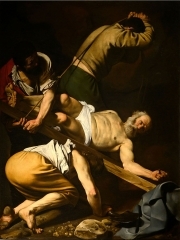 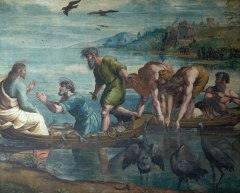 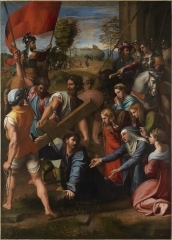 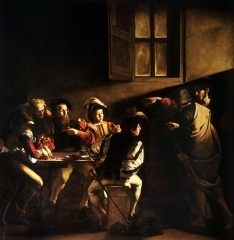 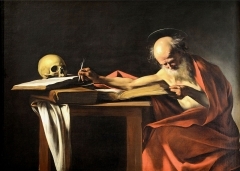 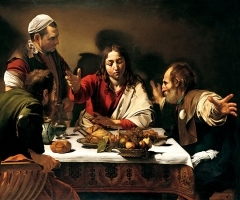 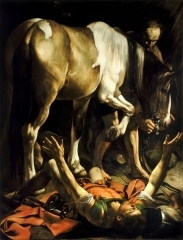 The Calling of Saint Matthew (1599–1600). 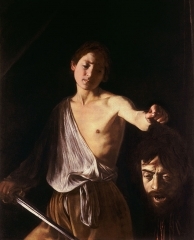 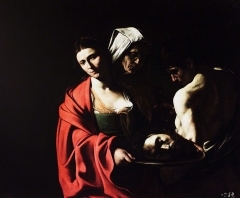 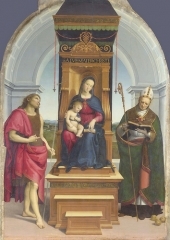 Salome with the Head of John the Baptist. 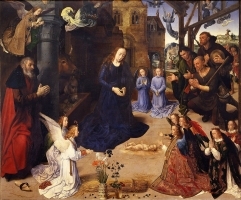 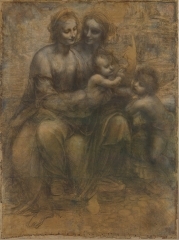 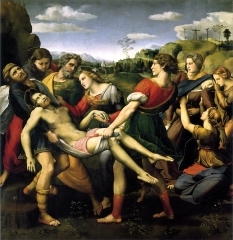 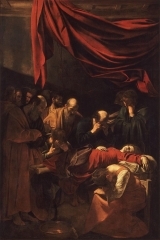 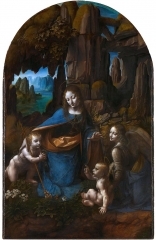 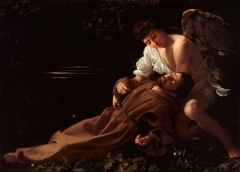 Death of the Virgin. 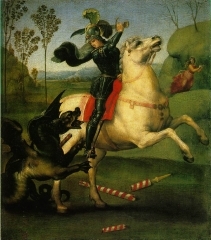 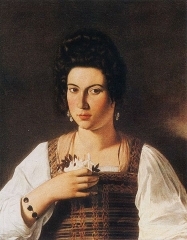 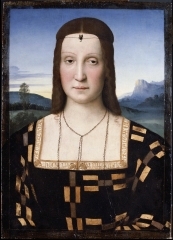 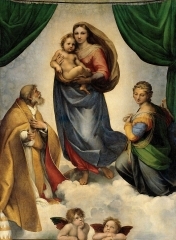 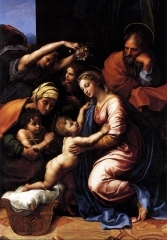 1601–1606. 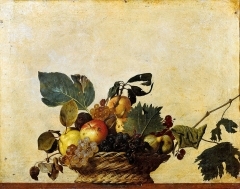 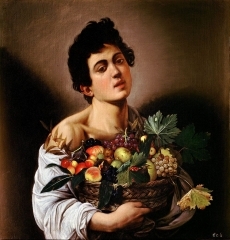 Boy with a Basket of Fruit, 1593–1594. 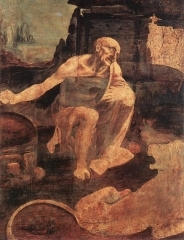 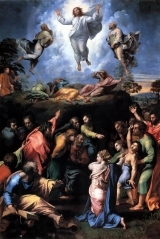 Transfiguration, 1520, unfinished at his death. 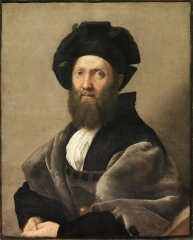 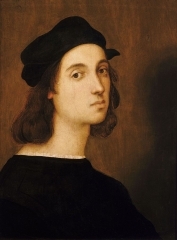 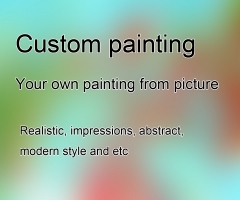 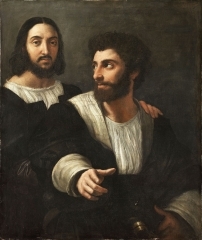 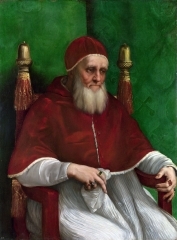 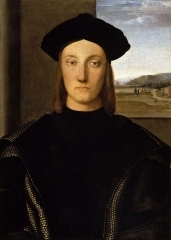 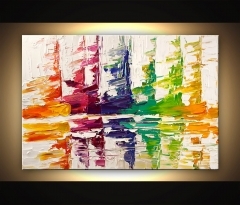 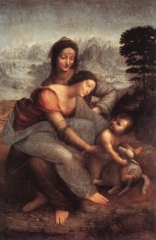 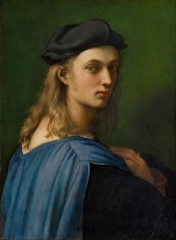 Il Spasimo 1517, brings a new degree of expressiveness to his art.